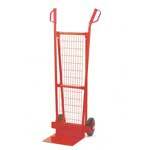 125kg & 250kg Capacity Industrial Sack Trucks With Mesh Back. In storerooms, warehouses, processing plants and other environments where employees are regularly moving boxes and other items around sack trucks can be an extremely helpful tool. By using a sack truck instead of moving these items by hand employees can not only reduce the number of trips they have to make but it can also reduce the chance of any injuries related to lifting heavy boxes. 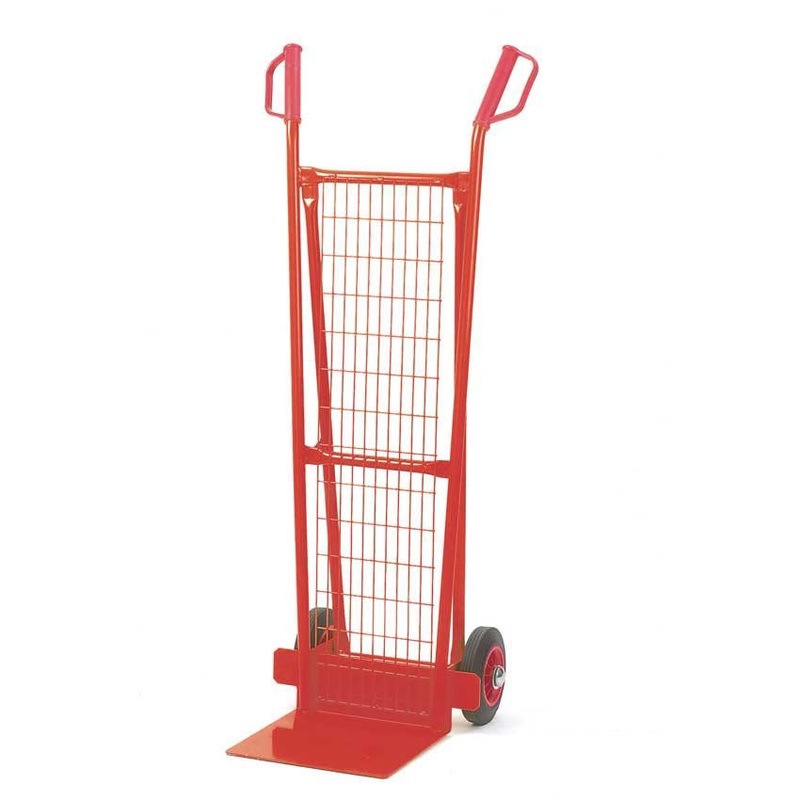 Our high quality, UK made sack trucks are manufactured to withstand the hazards commonly found in industrial environments. 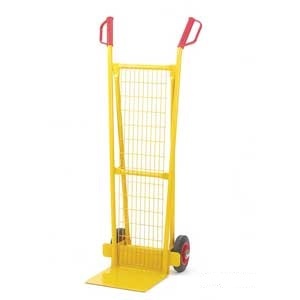 These long lasting sack trucks are constructed from tubular steel which provides the necessary strength and durability. Each truck is fitted with a mesh back which helps prevent smaller items falling through or hanging between the sack truck's uprights when stacked. To protect the user's hands against doorways and other obstacles hooded grips are fitted for hand protection. 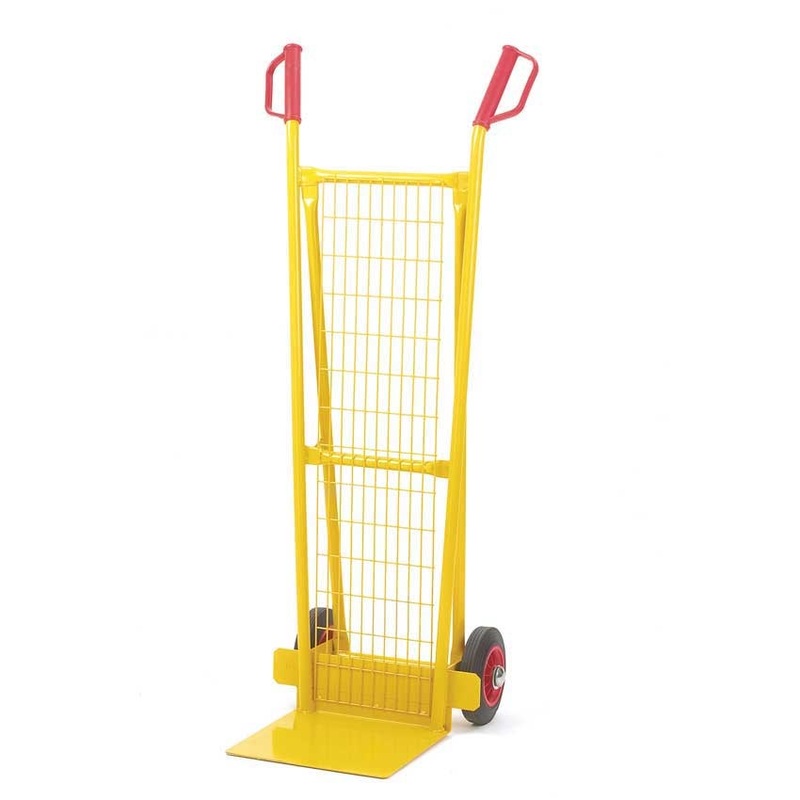 Depending on your requirements there are two main versions of this sack truck, a 125kg or 250kg capacity sack truck. Each of these trucks is available with a toe plate in one of three sizes - 150mm, 230mm and 305mm. These fixed toe plates allow users to slide the sack truck underneath boxes and other items, eliminating the need to lift heavy items. For a high quality finish, each sack truck can be finished in one of 4 colours - Red, Blue, Yellow & Green.